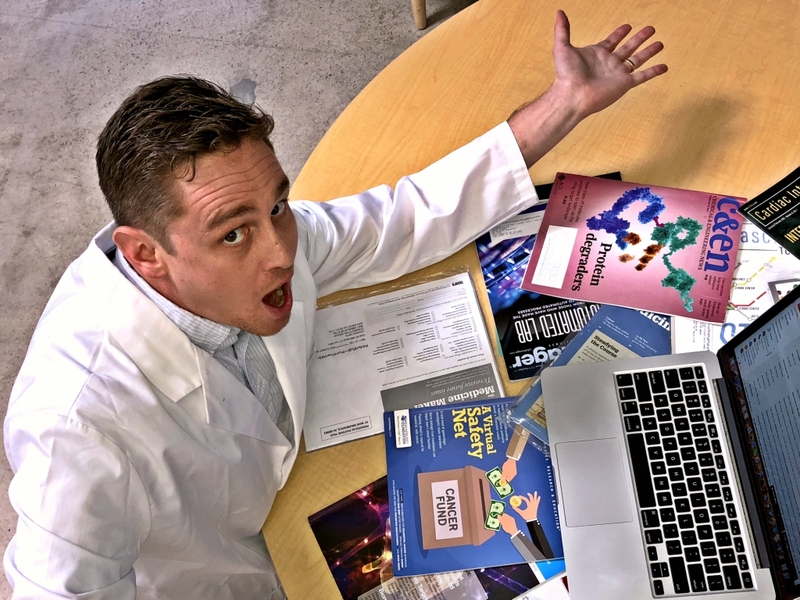 After hanging up my lab coat in a biomedical research facility to pursue a new career adventure in life science and healthcare digital marketing as a content specialist, I quickly learned, be it writing fresh content for a company or product launch or updating content for an existing one, that I would be entering a new world of research—keyword research and analysis for SEO. Initially, I was confused by SEO keyword strategy and the metrics used to inform SEO performance. After reading many of the ever-growing number of tutorials, blog posts and articles on keyword research strategy and familiarizing myself with different SEO tools, it became apparent that keyword research and analysis for SEO is a vital and high-reward activity for online marketing success. Life science and healthcare keywords, whether short- or long-tail, are often low volume, or even no volume keywords. Why? Healthcare and life science marketing is constantly evolving with new areas of research and technologies being generated as well as the terminology that describes them. Don’t rely solely on keyword search analysis tools to inform your keyword strategy. If an SEO tool doesn’t have search volume data for a keyword, pop the keyword into google search or keyword search visibility rankings tool, you will likely turn something up—and find out who your competitors are, too. In fact, you may have just spotted a potential keyword opportunity for your life science marketing keyword strategy. Unlike other market sectors, healthcare and life science marketing can result in a lot of unintended traffic. This is mostly attributed to students searching for medical and life science terminology while doing research for their coursework. This happens when medical and life science terms are used as keywords. I have found that using exact medical and life science terms as keywords can also attract an additional source of inadvertent or unwanted traffic when performing SEO for life science and healthcare companies. Keywords of chemical APIs and intermediates like cortical and hormonal steroids (e.g. hydrocortisone, testosterone, and progesterone) or prostaglandins, anti-inflammatory physiologically active lipids with hormone like effects, intersect with a larger audience than researchers, clinicians and, even, students—regular people searching for supplements or topical ointments. In this case, try including chemical nomenclature to your keyword or create long tail keywords to target researchers and clinicians in the drug discovery pipeline instead of people trying to build muscle or quell a rash. As well, acronyms with meanings in different industries, or homonym acronyms, can be confusing and, more problematic, easily drive sky-high bounce rates. For example, cGMP means both ‘cyclic guanosine monophosphate’ and ‘clinical good manufacturing processes’. Using the full spelling of the acronym or using a relevant modifier will increase your targeting efficiency. Industry-Specific Acronyms: RUO, IVD, GMP, etc. Many biotech companies have both research and clinical products or services, and therefore, target different audiences with different keywords driving to different parts of a website. These products usually have information regarding its intended use, and this is often shown in the form of an acronym. For example, antibodies are commonly used in life science research to identify cell types or structures and are used in clinical diagnostics as biomarkers and are typically labelled as RUO and IVD, respectively. Make sure to familiarize yourself with the client’s website and product portfolio prior to doing SEO for life science and healthcare companies because your strategy will change if there are similar products in both the research and clinical divisions. Keyword cannibalization occurs when a single keyword is spread across many places in a website’s information architecture, with the same keyword occurring in webpage text as well as the title tag, meta description, and alt text. This occurs both intentionally and unintentionally. When it happens intentionally, it is typically because the strategy is to rank very highly for one keyword. However, regardless of how keyword cannibalization occurs, it should be taken seriously because it can single-handedly eat up your own SEO rankings, pun intended. How? If all of your pages look the same to a search engine query, you run the risk of the search engine choosing an unintended page, which can lead to all sort of missed opportunities and problems including, but not limited to, bringing your conversion rate on the brink of extinction. That being said, keyword cannibalization is a really easy SEO problem to solve. Simply, do not use the same keyword on every page and, instead, use long-tail variations that are specific to your pages. A healthy keyword diet will help keep you from lost SEO opportunities. It takes practice, time, and dedication to optimize your keyword strategy for any industry. SEO keyword research and selection for healthcare or life science companies and products is inherently more challenging than for other industry sectors due to the many fields and themes targeting very specific audiences, typically specialized researchers and clinicians. Don’t rely on one keyword analysis metric for your keyword research, especially search volume because you will likely find life science and healthcare keywords have little to no data. Use long tail keywords when including science and healthcare terms to avoid competing with educational pages. Spell out science and healthcare terms that are acronyms to help you connect with your target audience’s search intent. Familiarize yourself with the client’s website and product portfolio before performing keyword research to avoid competing with yourself. Avoid keyword cannibalization by taking your keywords and strategically placing them on different webpages. By doing your keyword research to understand the needs of your life science and healthcare audiences, you can successfully employ a keyword research strategy to efficiently communicate tailored messages and establish your brand. To discover digital marketing opportunities for your company, product or expertise to the media, contact us.